This is my column from the March issue of the Tennessee Bar Journal and is reprinted with the permission of the Tennessee Bar Association. Well, there are actually a lot of lawyers whose response to the second question would be, “My Cousin Vinny.” But as much as I love Vinny, his expert witness Mona Lisa Vito, his clients, (“Two yutes”), and Judge Herman Munster, Vinny pales in comparison to Atticus Finch. No doubt about it, the greatest work of legal fiction wasn’t written by John Grisham or Scott Turow or John Mortimer. It was written by a University of Alabama law school dropout named Harper Lee. And the greatest legal movie ever produced by Hollywood did not star Joe Pesci, Paul Newman, Henry Fonda, Ben Matlock or Perry Mason. The star was Gregory Peck in his seersucker-clad performance as Atticus Finch. I first read Harper Lee’s classic To Kill a Mockingbird when I was in high school. But even before reading the book, I had already seen the movie. In 1962, when I was only 10 years old, I sat in the Northgate Theatre in downtown Frayser, Tennessee and saw the compelling story of Atticus Finch, a country lawyer from Maycomb, Alabama, and his defense of an innocent client, Tom Robinson. That “picture show” (as we called movies in those days) did more than entertain me. It moved me. It challenged me. It inspired me to become a lawyer. And I’ve never gotten over it. I was even more inspired a few years later when my high school English teacher, Mr. Hester, assigned me to read Harper Lee’s great novel. I first read To Kill a Mockingbird when I was in the tenth grade. And then I re-read it again and again and again. I most recently read it last fall, and I never grow tired of it. I consider it and Mark Twain’s The Adventures of Huckleberry Finn the two greatest novels I have ever read. I also have a DVD of the movie, and I watch it several times a year. The drawing with the inscription was given to me by the Madison County Bar Association when I was their Law Day speaker a couple of years ago. It is the nicest gift I have ever received as a lawyer. And I have two beagles. Their names are Atticus and Scout. I wanted to name our cat “Boo Radley”, but for some reason the Haltom children vetoed this idea. Accordingly, it is an understatement to say that I cherish To Kill a Mockingbird – both the book and the movie - and will always be indebted to Harper Lee for her great novel and Gregory Peck for his inspirational performance. To Kill a Mockingbird was published in 1960. It won the Pulitzer Prize and a National Book Award and immediately vaulted Harper Lee to the pantheon of great American writers. Over the next half century, the book sold over 30 million copies. For many years, millions of American readers (myself included) anxiously awaited Harper Lee’s next novel. We waited, and waited and waited. But it never came. Harper Lee retreated to a quiet life in Monroeville, Alabama, seldom giving interviews or even making public appearances. When asked why she had not written a sequel to To Kill a Mockingbird or another novel, she replied, “I said what I had to say. My fellow Memphian, Elvis, once said, “Never do an encore!” And for decades, it seemed that Harper Lee, like Elvis, had left the literary building. For a very long time I have had a dream that someday, after the Lord calls Harper Lee home, at least one new manuscript of a great novel would be found in the closet of her home in Alabama, and we would all once again have the joy of reading and hearing Scout’s voice. Well, my fellow Atticus admirers, I have great news. Harper Lee has indeed written another novel, and she has agreed to share it with us while she is still alive and well and living in Alabama! On February 3, Harper Collins Publications announced that this summer they will release Go Set a Watchman, Harper Lee’s long-awaited sequel to To Kill a Mockingbird. The book will tell the story of Scout returning to Maycomb as a grown woman and reuniting with her father, Atticus, in the racially-tense Alabama of the 1950s. I don’t know if Jem or Dill or Miss Maudie or Boo Radley will make an encore appearance in Go Set a Watchman. But I can’t wait to read the sequel and no doubt be reminded that it is still a sin to kill a mockingbird, and you can never really understand a person until you climb into his skin and walk around in it. And in a few years, Hollywood will no doubt give us the film version of Go Set a Watchman. I’m not sure I will go see that. 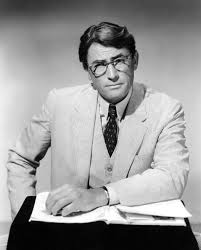 Gregory Peck is in Heaven now, and I can’t even imagine someone else playing Atticus on the screen. Tom Hanks is my favorite actor, and while I love him, I just can’t see Forrest Gump playing Atticus Finch. Robert Duval is still around, so I suppose he could play an elderly Boo Radley. While I doubt I will see the movie, you can bet your Amazon.com that I will definitely buy the book as soon as it is released. I have always wondered what happened to Scout and Jem after the tragic outcome of the Tom Robinson trial and that fateful night when Boo Radley saved Jem’s life. And now, thanks to Harper Lee, bless her heart, we may just find out. free sports streaming sites: Terrific place i need to mention together with kudos to your material. Learning may possibly be a sticky area. Yet, holds among the many biggest ideas of your point in time. That i delight in an individual's place together with will enjoy even more. http://eubookshop.com/: Absolutely, you were best suited dealing feel authentic at the covers only to find they land up in no way presenting nearly as good a good quality like they promise. australian writings discount: I don't know about TO KILL ANOTHER MOCKINGBIRD but know of To Kill a Mockingbird. It's a nice novel and one which anyone would enjoy. But let's see how this alteration or aspiration goes. usps certified mail tracking: USPS stands for United States Postal service which the only postal service provided in Unites States of America. USPS was found in 1775 July 26th in Washington DC, United States of America. USPS services are provided in the United States for sending mails and packages all over the world. The USPS has many extraordinary features which allows the customers to access the letter boxes. By using the USPS services we can easily send packages at a best price.